Travel Tribes of Tourist coming to Nepal. 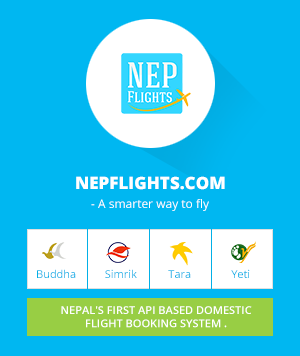 Nepflights.com has been serving different customers since its establishment. We have analysis the behavior and been study the pattern of shopping. On the base of study we identified following travel tribes to represent the customer profile of tourist coming Nepal. Simplicity Searcher value ease and transparency in their travel planning and holidaymaking above all else, and are willing to outsource their decision-making to trusted parties to avoid having to gothrough extensive research themselves. They don’t do lengthy holiday planning. they will want a single channel to buy everything, a ‘one-stop-shop’. They want everything planned and simple. They don’t do long and deep research for holiday planning. Social Capital Seeker understand that to be well-travelled is an enviable personal quality, and their choices are shaped by their desire to take maximal social reward from their travel. They will exploit the potential of digital media to enrich and inform their experiences and structure their adventures with the fact of their being watched by online audiences ever in mind. They will exploit the potential of digital media to enrich and inform their experiences and structure their adventures with the fact of their being watched by online audiences ever in mind. They are highly influenced by social media, video and news. They will potentially list and share their top next destinations in preparation for finding the right offer. Any product that is limited, rare or expensive will be in demand by this tribe. Cultural Purists use their travel as an opportunity to immerse themselves in an unfamiliar culture, looking to break themselves entirely from their home lives and engage sincerely with a different way of living. They influenced by lifestyle which is not familiar for them. They seek to be inspired by travel experiences that will allow them to immerse themselves into another way of life for the period of travel. They want to involved themselves on daily life and doesn’t want to be like ideal guest. They follow story, news, blog and documentaries which give the most truth information. Obligation Meeter have their travel choices restricted by the need to meet some bounded objective. In addition to business travel commitments, these obligations can include personal obligations such as religious festivals, weddings, and family gatherings. Availability of date and location is based on event/work/commitment. Their interest determine by their nature (one of the tribes), Having personalized information will help them to do. What are the scopes of BSC CSIT? How tough is to get job after graduation? Blog by Prakash Neupane is licensed under a Creative Commons Attribution-ShareAlike 4.0 International License. Based on a work at http://prakashneupane.com.np. Did you know I build NepFlights.com for online flight booking?